Last night my wife and I attended a concert that I had been looking forward to for months. 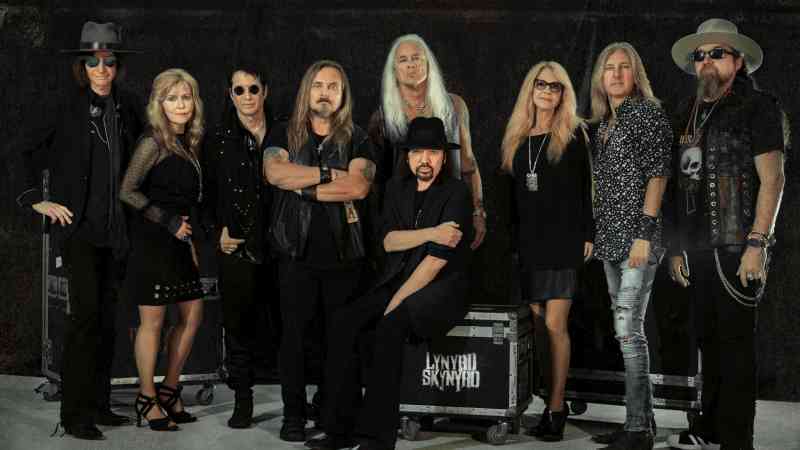 It was the Lynyrd Skynyrd: Last of the Street Survivors Farewell Tour which also had Hank Williams, Jr., .38 Special, and the Marshall Tucker Band appearing. Before I share anything further on this, I have to thank Beautiful Wife for buying these tickets for my birthday and for going with me to this show. And also for basically being my eyes during the evening as I am still having much difficulty in seeing because of being in the midst of 4 eye surgeries. (We had no idea I would be having these surgeries when she bought the tickets.) Beautiful Wife is not a big fan of most of the music, and she really doesn’t like crowds, but she LOVES me and did this with me. I love you, Beautiful Wife! I think I have reached that point in life where being in the middle of 25,000 falling-down drunk rednecks listen to an even drunker has-been country singer cuss and spit on himself while trying to convince the audience that he is still cool and relevant is not so much fun any more. On the other hand, Marshall Tucker Band still sounds great and I wish they had had the time play more of their music. ‘Can’t You See’ may have been the highlight of the night for me. .38 Special still had a very good sound, especially on ‘Rockin’ Into The Night’ and ‘Hold On Loosely’ and even though the rest of their set was mostly bland corporate rock, they still played flawlessly. Lynyrd Skynyrd still sounded like the best Skynyrd cover band in the world and they played and said all of the expected things. But with only Gary Rossington left from the real Lynyrd Skynyrd, I can only hope that this was indeed the final tour for “Lynyrd Skynyrd”. If Johnny and Ricky and the other unknown players want to continue, good for them, but they need to choose a new name. And it turns out that if you are not physically able to stand for an entire concert, it doesn’t matter if you have excellent seats with unobstructed views of the stage and the large screens, the plethora of inebriated rednecks will make sure to uphold their well-earned reputation of being rude, obnoxious, and disgusting while making sure that they find a way to obstruct that unobstructed view. In the future I plan on sticking to small theaters for concerts and avoid the giant drunk bowls. Maybe this means I have turned into a cranky old man, but so be it. That’s they way I saw it last night. I also couldn’t help but notice the completely different vibe last night from the vibe at the same venue last year for the Dead & Company concert. Old hippies know how to have a good concert, sit down and enjoy the music, dance when appropriate while remaining respectful of those around them, and keep things enjoyable for all. That respectful part of the equation was not in evidence last night at all. The wife and I typically see our shows either at small clubs for smaller acts, or at Blossom- a large outdoor space with pavilion seats for a few bucks extra. Somehow, it being open-air really helps dissipate the ‘drunk bowl’ effect.